I read every day for a year. I have been a voracious reader all my life but events eroded my time and my enthusiasm and I read very little for a number of years, until last October. In the middle of a collapsing life in a collapsing civilization, with panic keeping me up all night, I began staying up half the night to read and blog about books. Some of those books were sheer crap. Some were really really pedestrian. Quite a few left me wondering how they ever got published. A far smaller number stunned me with their inventiveness, imagination, eloquence and brilliance. I met memorable characters. I waded through mudflats of stereotypes, caricatures, and just plain stupid attempts to put people on the page–lots of fails. 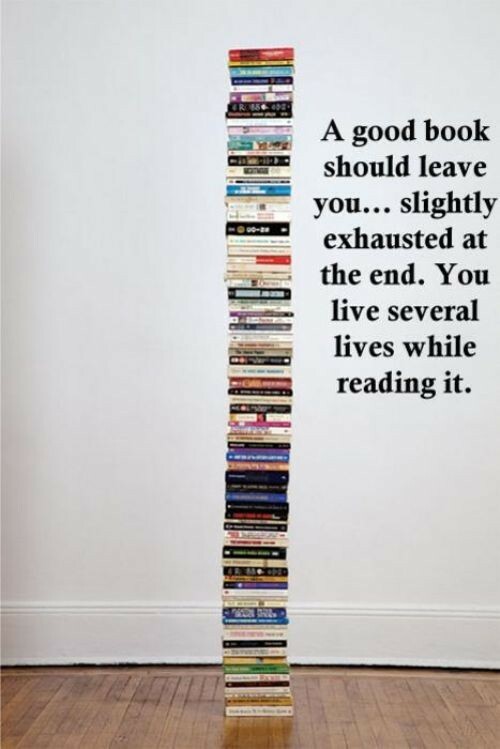 Reading so much made me hungry for really good books. Discovered anew there are no new stories. I can predict plots fairly well–comes of having been a bookish child–and I honed that skill appreciably by reading every day. The daily word count forced me to finish a lot of books I would have abandoned and sadly set aside big fat tomes I would have worked through for as long as it took. I’m happy to have freedom of choice back. But I’m interested to note that I’m a lot calmer about the wreckage of the world I knew than I was last year. There are other worlds, just next to this one. We can choose to inhabit them if they appeal to us more. It is necessary to acknowledge that, though, and most people would think it madness. Read enough books and madness comes to resemble sanity. I will keep reading but I’m shifting the lion’s share of my time, outside of the typing-for-pennies work, to my own writing. I have no illusions about what it takes to make up stories but I’m well aware now that the time is a luxury. Aware as well that time is the one irreplaceable currency. There are many ways to access better worlds than this limited and shabby one–music, theatre, art, sailing, contemplation, reading books, writing them. A book is a passage to somewhere else it might be worth exploring. Capturing stories in words is a bridge to a world you create–and who can say it is any less real than the dreams and nightmares we trudge through now? 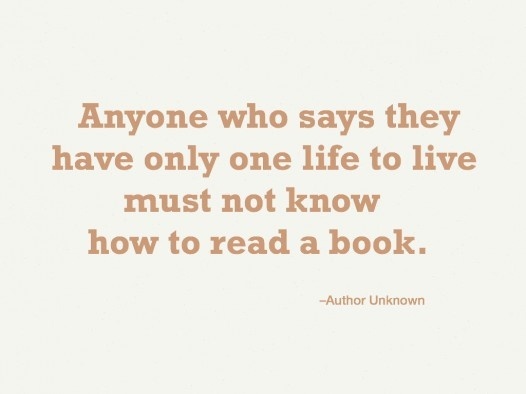 Once upon a time, I thought the challenge of reading a-book-a-day would save me. Instead it reminded me that I am perfectly capable of saving myself. And I have stacks of unread volumes piled all over the house for the hours every day when I will gratefully open the covers and step inside a story. Humans are narratives. That’s not a metaphor. We are just a bunch of swirling molecules we perceive in the shape of a story. Every single person–told or unrecounted–is a story. That’s enough reason for hope. Thank you. Still reading. Just not in place of urgent life stuff. Finished one more novel plus a lot of research on Medieval life that doesn’t add up to a book and am partway through a nonfiction that I’m deliberately savoring. So I’ll post from time to time as I get free to do that. Very likely I got more from the year than I have yet realized. Enter your email address to follow booklolly and receive notifications of new posts by email! Keep booklolly in coffee & paperbacks!